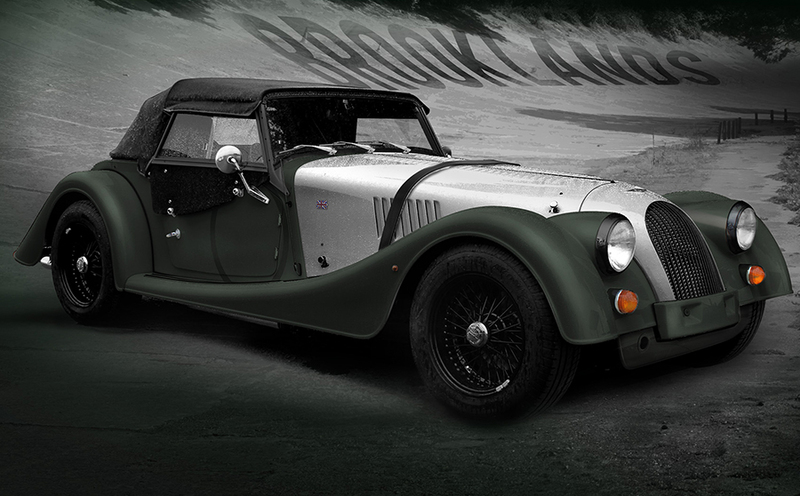 Here is the information on these gorgeous new models as put out by the Morgan Motor Company. Requirements of speed and spectator visibility led to the Brooklands track being built as a 100 ft (30 m) wide, 2.75 miles (4.43 km) long, banked oval. The banking was nearly 30 feet (9 m) high in places. In addition to the oval, a bisecting “Finishing Straight” was built, increasing the track length to 3.25 miles (5.23 km), of which 1.25 miles (2.01 km) was banked. It could host up to 287,000 spectators in its heyday. Brooklands was more than a great sporting arena. Brooklands was the birthplace of British motorsport and aviation, home of Concorde and the site of many engineering and technological achievements throughout eight decades of the 20th century. These Limited edition Brooklands inspired Morgans have been designed to celebrate the ancestry of British racing cars and their styling. An unusual arrangement of classic colour-ways, black detailing, and satin finishes are both in vogue and visible on cars of the era. 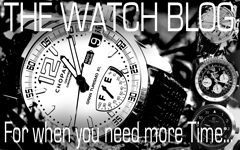 The cars focus on using the options currently available on a Morgan car in a cost effective manner. 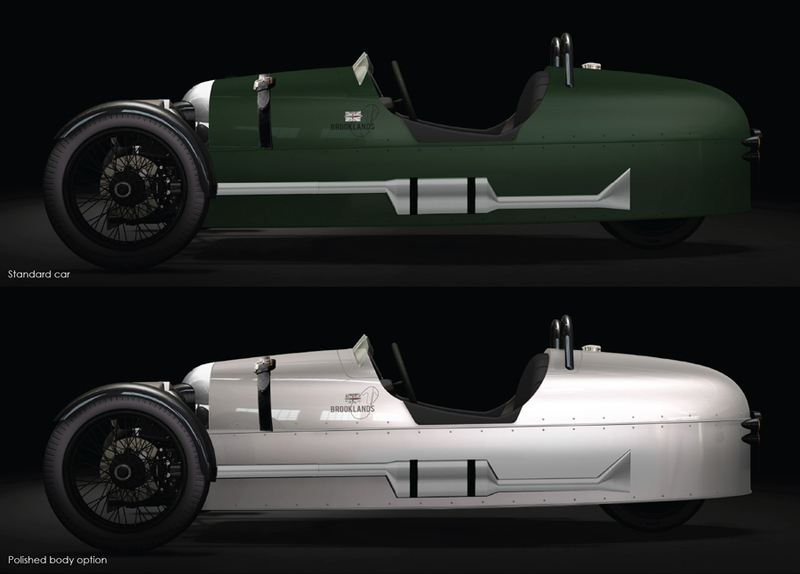 Only 50 of each the Brooklands Roadster 3.7l V6 and 3 Wheeler vehicles will be buiilt. 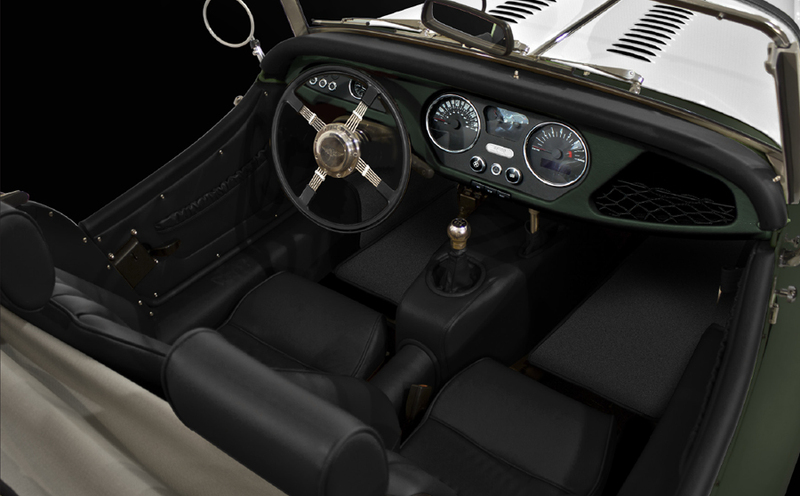 Each car includes a limited edition numbered dash plaque, an array of cost options, a Brooklands centenary book, and an annual membership to the Brooklands trust. Categories: Car Of The Week, Morgan | Tags: Morgan, Morgan Brookland | Permalink.